The addition of houseplants is a great way to create green space indoors, as well as brighten and liven interior spaces. 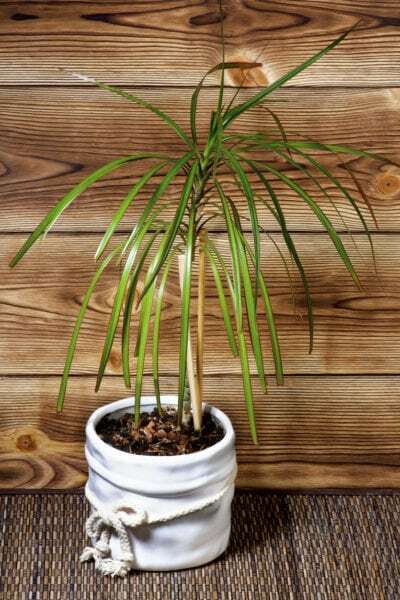 One popular option, dracaena plants, are loved for their carefree growth habit and their ability to thrive under the care of even novice gardeners. In addition to being exceptionally easy to maintain, propagating dracaena plants is also quite simple. Plant propagation is the process by which gardeners are able to create new plants. 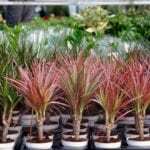 While starting new dracaena plants from seed is a possibility, many years are often required to establish seedlings. In some cases, plants grown from seed will not be the same as the parent plant. Luckily, many plants can be propagated another way. 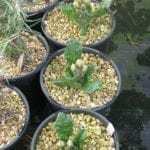 By taking cuttings, or other small pieces of the parent plant, growers are able to root and grow an exact clone of the parent plant. Not only is the process easy, but it is much more efficient and cost effective than purchasing new plants. There are two ways by which one may take cuttings of dracaena – from the top and through stem cuttings. Since both methods of growing new dracaena plants will take root quickly, the method of dracaena plant propagation chosen is simply the preference of the grower. 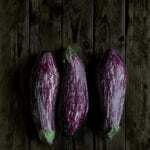 The first option is to take top cuttings, which result from the removal of the top of the plant. While completely removing the top portion of the parent plant may sound alarming, growth should resume quite quickly from growth nodes after cutting. Make a cut below the leaf line of the plant, making sure to include several nodes of the plant’s stem. Cuttings can be planted in a container with moist soil, or they can be placed in a vase of clean water. Cuttings propagated in water require little time before roots begin to form. Once roots begin to form, pot up the plants in a container. Stem cuttings are one of the most common means of plant propagation. Growing new dracaena in this manner is perfect for those wishing to produce multiple plant clones at one time. For first time plant propagators, this method may seem drastic, but rest assured that growth will resume as long as at least half the plant stem is left intact. To take stem cuttings from dracaena, repeat the process of taking top cuttings. However, instead of cutting the stem back past one to two leaf nodes, you will cut a larger portion of the stem. Cut the stem section of the plant into 8-inch (20 cm.) portions, taking special note as to which end is the top and bottom. Place the cutting segments in soil or in water, as described by the top cutting method. Place the containers in a warm location which receives indirect sunlight. Note: You may add rooting hormone to the cuttings if desired.